The "Quotable" this week is REALLY good! It’s not just something I say. It’s the TRUTH! I LOVE to read! Newspapers, magazines, books, websites, t-shirts, signs on the wall…if it’s got words on it, I want to read it! Every Monday morning, for example, I read Gina DeLapa’s Monday Morning Pep Talk! It’s a free weekly newsletter that is relevant, fun and easy to read. In just 3-5 minutes, I get information, encouragement and something to think about. That sounds like a media specialist to me! Click here and look at the top right corner of the page to find out how to subscribe to Gina’s newsletter. You’ll thank me for it! John Waters, Writer, Author, Actor, et.al. 29. Recruit and TRAIN volunteers to help with checkout, shelving, website, checking in orders. Whether you call them Media Moms or just helpers, they need to feel confident that they know what they are doing and that it is important work. You MUST train regular volunteers, if you hope to retain them. You also must appreciate them and let them know that you do. A well trained, appreciated volunteer who feels that she is making a difference is an UNBELIEVABLE asset and can be an amazing advocate for you. Principals listen to parents, and media moms can be passionate friends of your library. More on this topic next time! That’s all I wanted to say in this section. Happy Thanksgiving! Leaves are falling, the election is over, and ALL those holidays are looming large on the horizon. Like every other kid I knew growing up, I have always loved Christmas. But as I have gotten older, I have started really enjoying Thanksgiving more and more. Partly because of the food, largely because of the family, but MOSTLY because it reminds me and others I know to be thankful. Thankful for people who mean so much to me, for opportunities to discover and grow, for simple things and complicated – and for contemplating things that go unnoticed or underappreciated for much of the rest of the year. One of those things I am really grateful for is a love for reading and the ability to do so – whether I am reading directions, the new Jack Reacher novel, super hero books to my grandson, or a blog about library work. Being a reader has made my life (and, I suspect, yours!) so much richer. And it is pretty awesome to be a part of a team of people who spend much of their lives instilling that love in others. Thanks for letting me play! I saw a bumper sticker that said “What I need is more time, more money, and less $%#@&* from you people!” There never seems to be enough time or money to get the work done and many media specialists have lost hours and personnel, and some have even been moved to the classroom for part of the day. Here’s one way to make the best of the situation. 28. Get substitute teachers to come and help in the Media Center during planning period. If you have two subs per day who will help for 30 minutes per day, you will get 5 hours of help each week. If you have set tasks for them to do so that you don’t have to stop and tell them/show them what you want, it becomes a time saver, not a burden. Once subs get the hang of it, you have help every day! Since some of your subs are also parents at your school, you can begin training media center volunteers! “Teacher In-Service Training” – many times, that phrase strikes worry and concern in the heart of the media specialist. The county or your local school provides learning opportunities for classroom teachers and so that it won’t be unfair, you have to attend. What if there were sessions designed just for media specialists? Would THAT make the time more worthwhile? I can help. Check out the topics I offer at little or no cost to groups of media specialists at www.tommyjohnspresents.com/tjp/teachers/. I’d love to come to your district or regional training event and be a part of your professional development! All Aboard the Arctic Express! There are lots of websites and social media sites that can help you in your work as a media specialist. One that you probably already take part in is Pinterest. In addition to cake recipes and gardening tips, there are hundreds of media specialists sharing their great ideas about encouraging reading, getting the administrative part of the job done and THIS ONE about an easy to set up, low tech MAKER SPACE! Click here to check it out! One of the best ways to help a child learn empathy is through great stories. I love this quote from Joyce Carol Oates. 10. Reward readers with EXPERIENCES, not just stuff. EX. Lunch in the Library, first checkout of new books, or allow a hold on a favorite series. People remember the things they DO and EXPERIENCE longer than they remember the STUFF that they get. So why not give your kids experiences! Going to a show, going first in line, being the first one to checkout a new book, having lunch with YOU – all these things man a lot more than a plastic rainbow colored Slinky shaped like a book! More Music in the Library! Thanks Sabrina! I must add that when I asked for permission to share her email, she was quick to point out that it was not her idea alone. She gave credit to the previous media specialist and others who helped make this work at her school – just like a good media specialist should! 45. READ! Practice what you preach. If you are going to tell others the value of reading, you should get caught with a book every now and then. Read for professional development, read to see what your students are reading AND read for fun. Here’s what they are saying about Tommy Johns Presents! Music in the Library? Are you kidding me? I have long been a fan of creative media specialists (like you!) who shatter the stereotypes and embrace the different ways the school library can change lives. 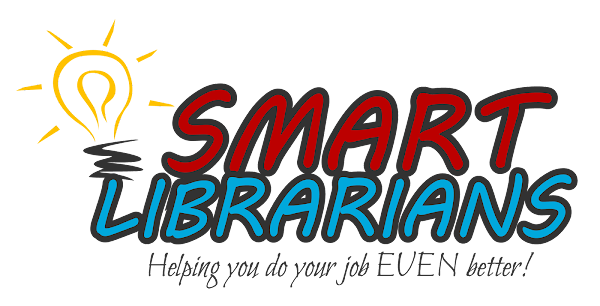 One of those creative colleagues is Shannon Miller, who is hosting a free webinar next week on using music in the library. The webinar is next Monday at 3:00 CDST, but if you register for it and can’t attend, it will be available to you online afterwards. You can download it and listen to it as you drive to school or watch it during your kids’ dance practice while the other parents are looking at their Facebook feeds. Register and get the details HERE. Speaking of Shannon, her blog is AMAZING! This week she tells you how to put over 15,000 beautiful, high-quality and popular books into the hands of your students today FOR FREE! Click HERE to find out how! 44. Attend GaETC, regional training events, online webinars and see what your regional RESA (in GA) or ASLA District (in AL) offers. Or invite a speaker to come to your school district on the next teacher training day to speak just to media specialists. I have a number of topics I have presented at local and large events, and I would LOVE to come see you! Check out http://tommyjohnspresents.com/tjp/teachers/ for a list of topics! Getting out of the media center (or completely out of the school! ), even for an afternoon can be SO valuable. “Today a 6th grader came into the media center and waited very patiently for me while I was teaching. I finally went over and asked him what he needed. He said "My teacher said I needed to talk to the bookkeeper." I explained the bookkeeper was in the front office...then I got it. Yes, I have books and I keep them for everyone to check out, but I am not the bookkeeper you are looking for.” Go Ingrid! Now you can add “Bookkeeper” to your resume’! Stephen R. Covey, author of The 7 Habits of Highly Effective People coined a phrase about constant self-improvement, “sharpening the saw.” I fear that too many of you are like a soup kitchen cook, starving over a full pot while you are feeding the masses and never taking time to eat. You need to get your battery charged if you are going to keep going and going and going. Sharpest Knife in the Drawer! Every Thursday you’ll get this short, fun, relevant newsletter. It will contain a quote or smile about the library and those who love it, an idea you can use to promote your library or reading in general, and an occasional shameless plug for the programs I offer. Enjoy! Growing up in a small town in Alabama in the 60’s, I carried a pocket knife with me everywhere – even to school! The single blade Barlow knife I had carried since I was 8 was replaced when I was 10 by a gift from our Scoutmaster – a genuine Swiss Army Knife. Now, in addition to whittling and sharpening pencils, I could pick my teeth, tighten a screw (Phillips or slotted! ), poke a hole in leather or open a bottle of wine. That last one was pretty useless for a 10 year old Baptist kid from a dry county! It’s a good read. You can read the rest of it by clicking here. "The most important asset of any library goes home at night -- the library staff." -- Timothy Healy, former president, New York Public Library. #4. Refer to yourself as a teacher and your library as a classroom. Words mean things. You ARE a teacher and your media center IS a classroom. One reason your colleagues talk out loud at the copier when you are teaching a lesson (something you would NEVER do in THEIR classroom), may be because they don’t see you as a teacher or your classroom as a classroom. Use the words teacher (or teacher/librarian) and classroom when you talk, when you write, and even when you think! It’s not too early to be thinking about the holidays! One of my favorite programs is Arctic Express, a reading show that talks about the many holidays celebrated around the end of the calendar year, all over the world! Find out more about this fun and educational program by clicking here and scrolling to the bottom of the page.